The wedding I was at last weekend reminded me how nice champagne is! It’s not something I buy regularly, which I suspect is the case for most people, as it gets saved for special occasions. Unless you are French, and then apparently you get to drink it every day! 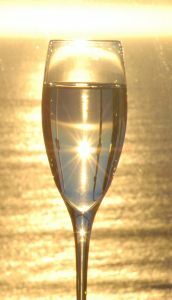 Put a few drops of cassis (blackcurrant liqueur) in the bottom of each glass before pouring in the champagne. Then you will get pink champagne! 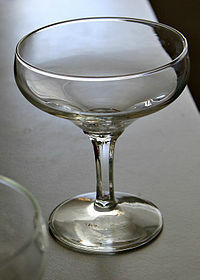 Instead of serving champagne in the traditional flutes, get some of these 30s style coupe glasses. My mom had those old fashioned champagne glasses! So pretty. And note to self: Champagne every day? Move to France ASAP! Heh heh, yep bring on the 3 course lunches, champagne, and pastries that the French eat whilst putting no weight on! !